He had an incredible life and he left an indelible mark on humanity, and I do believe he is one of our greatest icons. And all of us can appreciate the journey he went on and the simple themes of hope and perseverance. We all look up to him, and there aren’t too many people that have had that type of impact. 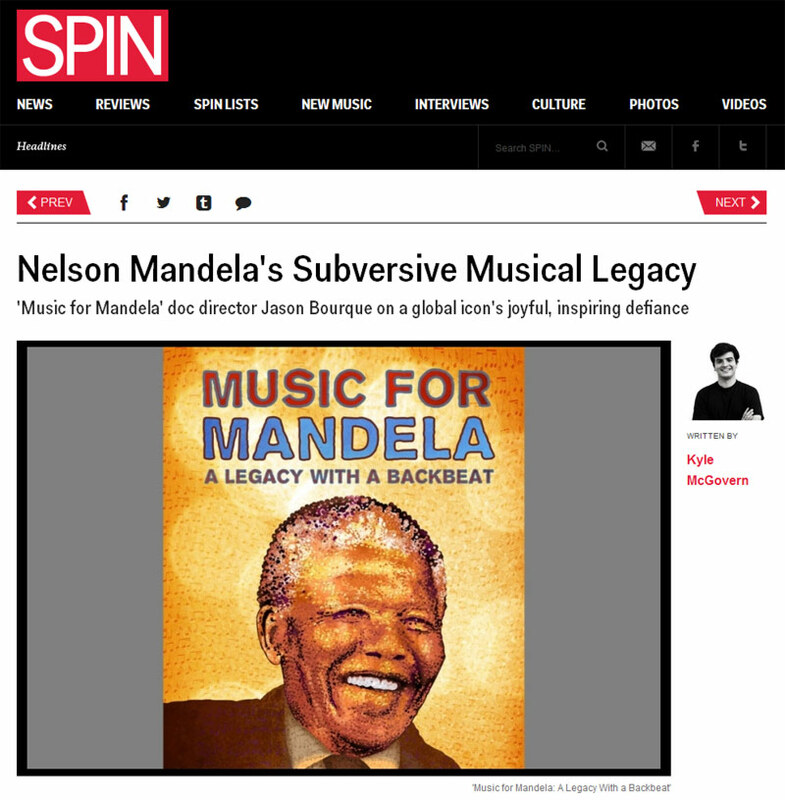 Spin magazine used our poster to illustrate their interview with Music For Mandela: A Legacy With A Backbeat Director, Jason Bourque. The film explores the role music played in Mandela’s life and survival. With his passing, it adds another glimpse into the rich life of an amazing man.